Dr. Harry Wolper is a character. First he steals Boris, a new student assistant by promising him a co-ed's phone number. Then he hijacks new high tech equipment for his own research, confusing the other university researchers who can't see "the big picture." Harry has a plan, he wants to clone his dead wife, but first he needs an egg and a host. He mounts his search by stapling notices to every telephone pole in town from his bike, which is how he meets Mili. As the year progresses, he sees Boris' romance follow the same pattern as his own, twenty-five years ago. 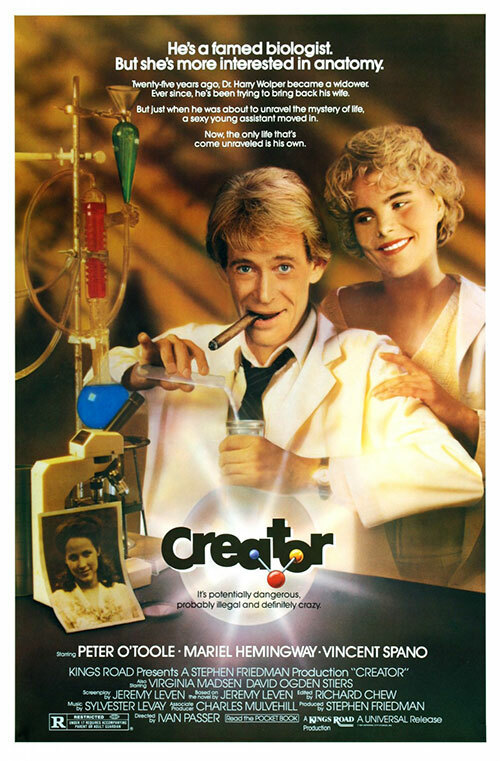 0 Response to "Creator (1985) Ivan Passer"